Local authorities have various responsibilities that are meant to curb the issue of poor ventilation and odor emissions. Regulatory bodies have been formed to ensure that a healthy environment in commercial kitchen environments. The Building Control Officer has the obligation of ensuring that building regulation requirements are observed by persons putting up structures. Installations that are meant for safety such as high exhaust flues are supposed to be installed correctly. A planning consent should be verified and approved by a Local Planning Authority. A planning consent should comprise of installation of the ventilation systems. Environmental Health Officers should be consulted to provide advice and guidelines regarding the odor from a commercial kitchen. The Environmental Health Officer will be the one responsible for the handling of any complaints regarding bad smell arising from a kitchen extraction system. The kitchen extraction systems should be well designed and well installed to avoid the nuisance that may result from an odor it emits. 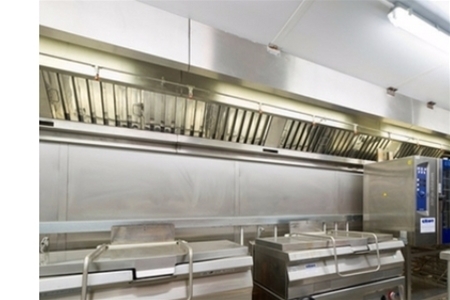 After the installation of the ventilation systems, the proprietors of commercial kitchens are required to ensure that they are well maintained. Proper maintenance of these systems, ensures compliance with the regulations. Food Hygiene Regulations also requires proper maintenance of these systems. Poor maintenance of a newly installed filtration system could end up being hazardous. Proper maintenance should be performed in order to maintain an excellent flow together with complete grease removal and odor removal. Non-maintenance of the ventilation system could lead to blocking of the system with particulate matters hence causing a flow restriction. As time goes, the flow restriction is enhanced by the continued blockage of the ductwork. Eventually, there will be an accumulation of the particulate matter in the system leading to the decreased removal of grease and odor. It is advisable to provide an adequate maintenance schedule for better performance in the removal of oil and odor. The poor performance of most kitchen ventilation systems results from the accumulation of particulate matter in the ductwork itself. Proper maintenance of these systems ensures that the face of the canopy, grease filters, and other parts are thoroughly cleaned. Maintenance should be frequently carried out in order to comply with the requirements of the Food Safety Regulations 1995. Odor emission mostly results from the build-up of solid particles on the internal surface of the duct itself. Poor maintenance of the ventilation systems is the most common cause of odor emission, and this may also lead to corrosion of the duct itself. The particles that accumulate in the ventilation system end up appearing as the dirt that is seen in the seals and joints of the duct system. The particles are capable of catching fire, thus, rendering them as a potential fire hazard. Complaints of irritating noise are likely to be experienced in commercial kitchens that have ventilation systems with reduced maintenance. Various causes of noise pollution include damage, dust and solid deposits on the impeller and other parts of the duct such as the worn up bearings. Other causes may be due spoilt, damaged, eroded, or clogged silencer equipment. The efficiency of the ventilation systems can be ensured through frequent maintenance of the kitchen equipment. The following are the minimum performance requirements for general maintenance of kitchen ventilation system. Extract: the surface contaminants limits include six grams per meters square. The test method to be used to check includes Dust Vacuum Test (DVT) and Deposit Thickness Test (DTT). Recirculation: the surface contaminants limits is one gram per meters square. The test method includes Dust Vacuum Test and the Deposit Thickness Test. Supply: one gram per meter square, the test procedure include Dust Vacuum Test and the Dust Thickness Test. When a 200 micrometer means across the system is found using the Wet Film Thickness Test Measurement is found, it is advisable to carry out a complete cleaning process. If a measurement above 500 micrometers is considered, a significant local cleaning is the recommended action. A frequent physical inspection of the ventilation system should be done. To achieve this, there should be at least a one a week inspection of the ventilation system. Accumulation of dirt and grease on the metallic surface should be checked more regularly. A daily cleaning of cooker hoods and grease filters should be observed. Cleaning of baffle type self-draining systems together with the collection drawers must be done at least once weekly. Mesh filters should be cleaned at least twice a week. A specialist contractor should be called to carry out periodic deep hygiene. Inspection and cleaning of ductwork branches together with proper equipment needs to be conducted more frequently. The period within which cleaning of the equipment will be done should be determined by the frequency of its use. Fans should regularly be maintained according to instructions given by the manufacturer. Ventilation grilles have been installed with a core that can be easily removed to facilitate the cleaning process. Recommendations for proper maintenance of odor control system. Systems containing an excellent filtration and carbon filtration must have its proper filters changed after every two weeks. The carbon filters should also be changed after every four to six month. A system that has been installed with an ESP must be cleaned every two to six months. Wet vacuum: this is a wet cleaning technique that applies suction to the removal of dirt. Chemical clean is another wet technique that works by softening or dissolving of deposits accumulated in the ductwork. Hand wash can also be carried out by the use of an appropriate medium to clean the internal surfaces of the ventilation system. Steam or high pressure can also be applied to move or dissolve the nuisance deposits within the system. The use of an air whip or a skipper ball. This method uses a small volume compressed air to agitate the wall of the ductwork. An air lance can be applied, and it also uses low volume compressed air to agitate the wall of the ductwork. Hand wipe is also another method that involves cleaning of the surface using an appropriate medium. Hand brushing can also be used. The method includes brushing of the surface an appropriate brush. Hand scraping can also be done using a hand scrape. A hand vacuum can also be applied. The method uses electricity to suction the accumulated dirt inside the ductwork. Wet Film Thickness Test (WFTT).